Hello and Welcome to our preview for Hobart Hurricanes vs Sydney Thunder match. We are covering HBH vs SDT Dream 11 Team Prediction, Preview and Probable Playing XI for the Big Bash League 2018-19 match. The match is to be played at Manuka Oval. Hobart Hurricanes are on the top of points table with ten wins and three losses. They won their last match against Melbourne Renegades by 16 runs. Batting first, Matthew Wade was the star performer for his 58 run knock and was supported by Ben McDermott, D Short and Simon Milenko to give a target of 184 to Renegades. With ball, Jofra Archer, Qais Ahmad and D Short took two scalps each to provide a 16-run win to the team. They will be determined to defeat Thunder and enter the semi-final with momentum on their side. Sydney Thunder are sixth on points table with five wins and seven losses. They lost their last match to Sydney Sixers by 9 wickets. Batting first, They could only score 128 runs with Chris Green being top scorer for his 34* run knock. In response, Sixers chased the target comfortably adding another loss to their tally. They still have an outside chance to enter the semi-final by getting a big victory tomorrow and hope for other results to go in their way. They will boosted by presence of Pat Cummins, Khawaja and Patterson. HBH vs SDT, 55th Match, Big Bash League 2018-19. Matthew Wade (c), Jofra Archer, George Bailey, Alex Doolan, Ben McDermott, Riley Meredith, Simon Milenko, David Moody, Clive Rose, D’Arcy Short, Tom Rogers, Caleb Jewell, Qais Ahmad. 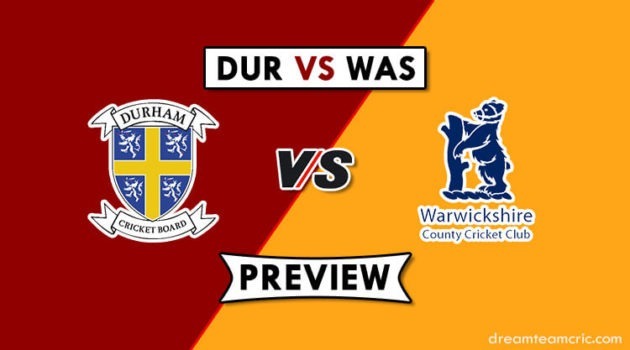 Shane Watson (c), Fawad Ahmed, Callum Ferguson, Chris Green, Jono Cook, Daniel Sams, Gurinder Sandhu, Arjun Nair, Chris Jordan, Anton Devcich, Jason Sangha, Baxter Holt (wk), Nathan McAndrew. The unchanged 13-men squad has been declared for the match. Alex Doolan can get a chance in place of Caleb Jewell. Matthew Wade will open the innings along with D’Arcy Short. Caleb Jewell, Ben McDermott, George Bailey and Simon Milenko will follow them. Clive Rose, D Short and Qais Ahmad will handle the spin department while David Moody, Jofra Archer and Riley Meredith will spearhead the pace attack. Simon Milenko can support them. Riley Meredith was expensive in last match and Tom Rogers can get a chance in his place. They have also announced 13-men squad for the match with four big changes. Pat Cummins, Usman Khawaja, Kurtis Patterson and Matt Gilkes are added to the squad replacing Arjun Nair, Jono Cook, Baxter Holt and Jason Sangha. Test trio of Cummins, Khawaja and Patterson have been released from national duty while Matt Gilkes has recovered from injury. They will directly come in the playing XI. Usman Khawaja will open the innings along with Shane Watson. Callum Ferguson, Anton Devcich and Matt Gilkes will follow them. Daniel Sams, Chris Green and Pat Cummins will play the role of finisher. Daniel Sams and Chris Jordan will lead the pace attack along with Pat Cummins while Chris Green and Fawad Ahmed will be the key spinners. A Devcich can support them. Gurinder Sandhu is likely to be axed from the playing XI. Matthew Wade (c and wk), D’Arcy Short, Caleb Jewell/A Doolan, Ben McDermott, George Bailey, Simon Milenko, Jofra Archer, Clive Rose, David Moody, Qais Ahmad, Riley Meredith/Tom Rogers. Shane Watson (c), Usman Khawaja, Callum Ferguson, Kurtis Patterson, Anton Devcich, Matt Gilkes (wk), Chris Green, Daniel Sams, Pat Cummins, Chris Jordan, Fawad Ahmed. Captain and Vc choices: D’Arcy Short, M Wade, U Khawaja, S Watson, C Ferguson, D Sams. 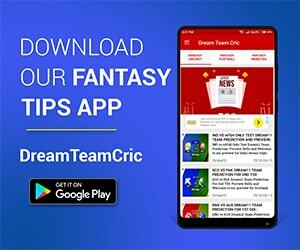 If you liked HBH vs SDT Dream 11 prediction, then follow us on Twitter for Latest Cricket News and Grand League Teams.